All lakeside en suite rooms contain a bar fridge , tea and coffee making facilities, reverse cycle temperature control, spacious ensuites (with double size showers) quality toiletries, a hair dryer, all linen and towels are provided. Information on regional attractions is willingly shared. The Garden also has an outdoor BBQ area by the lake. Other facilities include ‘country’ clay tennis court, row boats, bush walking track and picking fresh fruit and berries in season. Table tennis, chess and board games, books and magazines plus a dvd library are all available to guests. Located in the midst of scenic undulating forest, grazing land and cool climate wineries, a bare and windy sheep paddock has been transformed into an unbelievable oasis of beauty and seclusion just 20 minutes from Australia’s capital city, Canberra. Redbrow Garden’s rambling masterpiece provides seasonal kaleidoscopes of amazing colours, subtle textures and a wildlife haven of natural tranquility. Against a backdrop of Australian eucalypt woodland and the thriving wetland habitat of Redbrow lagoon, the garden combines numerous native and exotic trees, shrubs, bulbs and perennials. Named after the ‘redbrow firetail’ finches which inhabit the garden year round, the ornamental and productive sections of the garden express vibrant exuberance in spring, extraordinary hues of gold, bronze and burgundy in autumn as well as providing shady relief in summer. 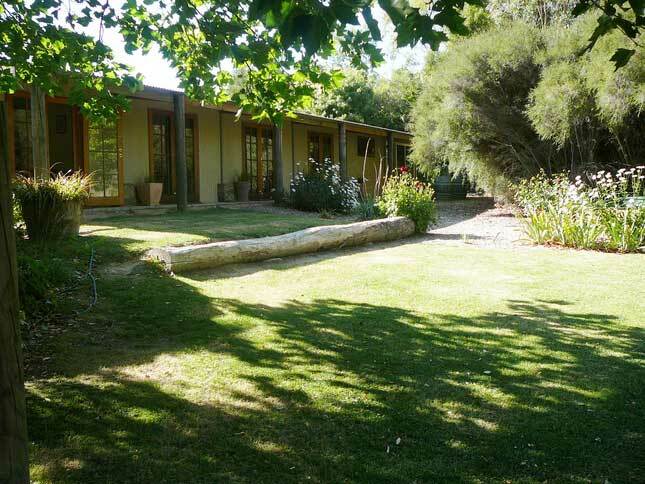 Redbrow Garden is a multi-dimensional fully integrated property incorporating an intensively productive 25 acre oasis.That means that all the farm activities complement each other. Our hens utilise the kitchen waste to produce tasty free range eggs and our orchard provides fresh and preserved fruit for our guests as well as ourselves. All treated waste water is used on the ornamental garden as is the manure from the horse paddocks after composting. We promote sustainable small acreage farming solutions. 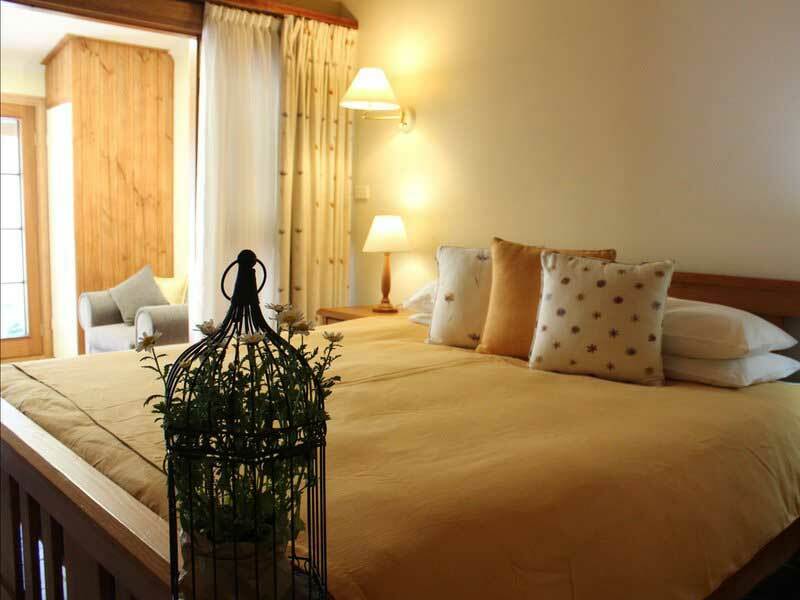 Beautiful guesthouse accommodation surrounded by an inspiring lakeside garden and wildlife refuge. 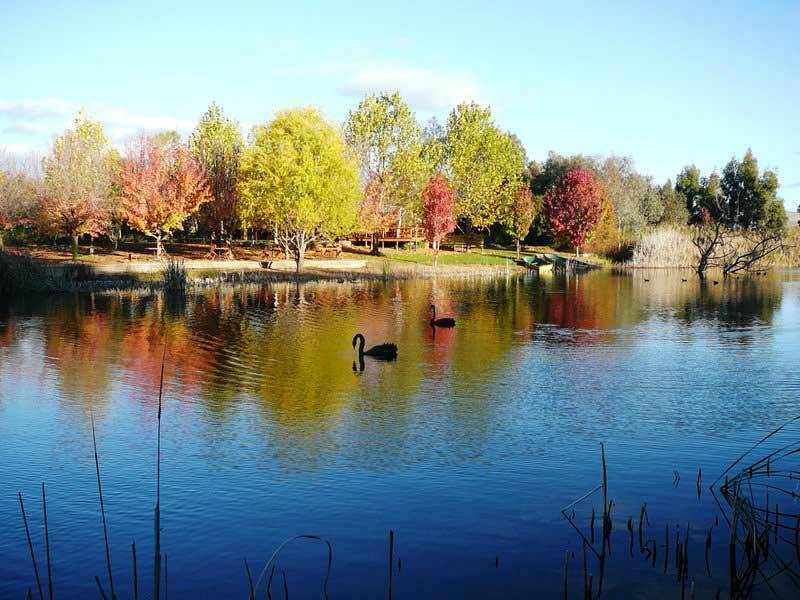 Created and managed by owners David and Elisabeth Judge, Redbrow Garden is a multi award winning oasis between the suburb of Hall, on the outskirts of Australia’s National Capital, Canberra in the Australian Capital Territory (ACT) and the Murrumbateman cool climate wine region. 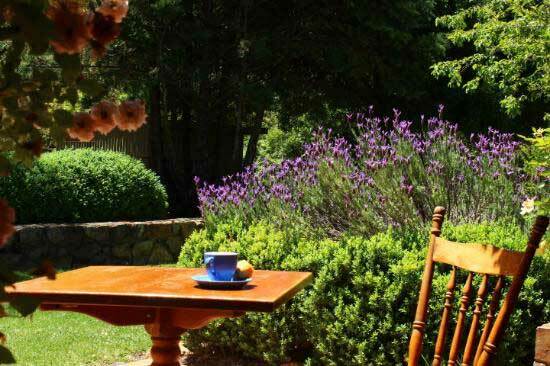 Located 20 minutes drive from Canberra north, and close to many acclaimed wineries and renowned restaurants, Redbrow Garden is an ideal retreat for discerning Capital Country locals or Australian and international visitors to the Canberra region. The standard lakeside en suite room rate for 2 people for 1 night is currently $150. Two nights at $290. Please enquire for reduced rates for longer stays. Additional guest is charged at $50 per person. There is no additional “service” fee charged to guests through Green Getaways. Redbrow Gardens offers four spacious, individual lakeside ensuite rooms. Designated by one of the common bird species in the garden and tastefully decorated with views of the garden’s thriving wetland habitat,all rooms have a large en suite and toiletries and are air conditioned/heated. A room bar fridge is stocked with complimentary drinks.There is also a separate kitchenette with a fridge/freezer, small oven & electric hotplates plus a microwave and all crockery, cutlery and utensils you may need to self cater. 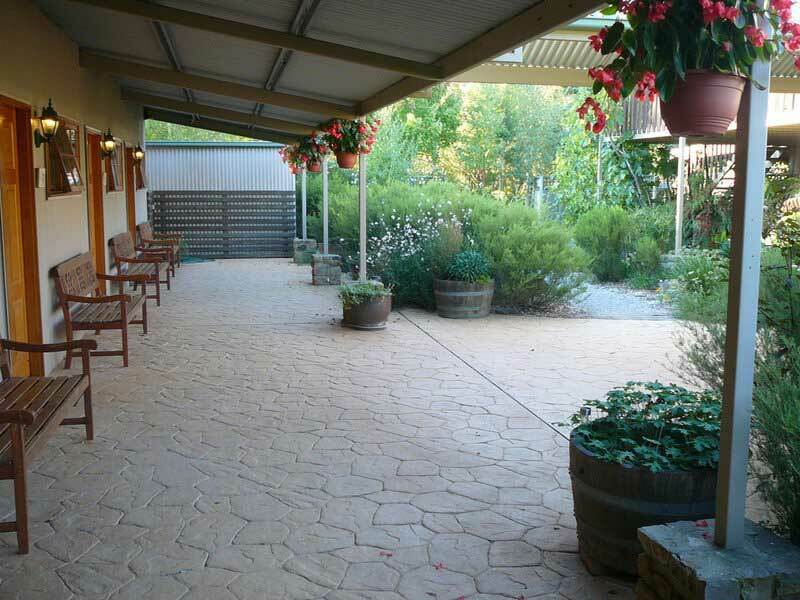 A large carpeted guest lounge with fireplace and TV is attached to the en suite rooms by a covered walkway. Breakfast provisions are included in your tariff and include a selection of cereals, fruit, fruit juice, fresh local eggs, bacon, tea & coffee and a bread selection with condiments.